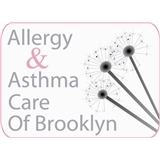 Allergy and Asthma Care of Brooklyn (Brooklyn) - Book Appointment Online! We offer evening hours to accommodate your busy schedule. We are conveniently located in Park Slope and Williamburg. Both our offices are close to public transportation. Dr. Charlot and her staff were friendly, professional and efficient. I was diagnosed with several allergies I had suspected for a long time and was given a wealth of information on how to manage them as well as a care plan. Melissa was very caring and nice. She presented me with options for my specific situation which was greatly appreciated. Everyone in the office was very professional and courteous.